Need a light? Replica of The Eleventh Doctor's Sonic Screwdriver! LED flashlight! 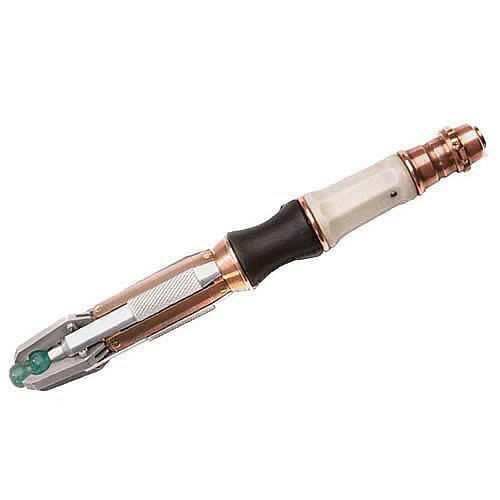 The new Doctor's Sonic Screwdriver is now yours-- as an LED flashlight! You can step into Matt Smith's shoes and fight monsters to your heart's content!This flashlight measures 6-inches long x 3/5-inch in diameter and includes 3x "LR41" batteries.